Opportunity knocks my door and I was given the chance to try the Antioxidant Serum by Sanny & Joleen Lifestyle for 2 weeks to see the result. When I first try the drop on my face, surprise to see the color is not transparent like other serum but its kind of cloudy white. No fragrance, cooling and non oily. It absorb well onto the skin. The packaging is so simple and very direct. The product comes in 2 sizes which is 30ml for RM97.00 and 10ml for RM49.00. 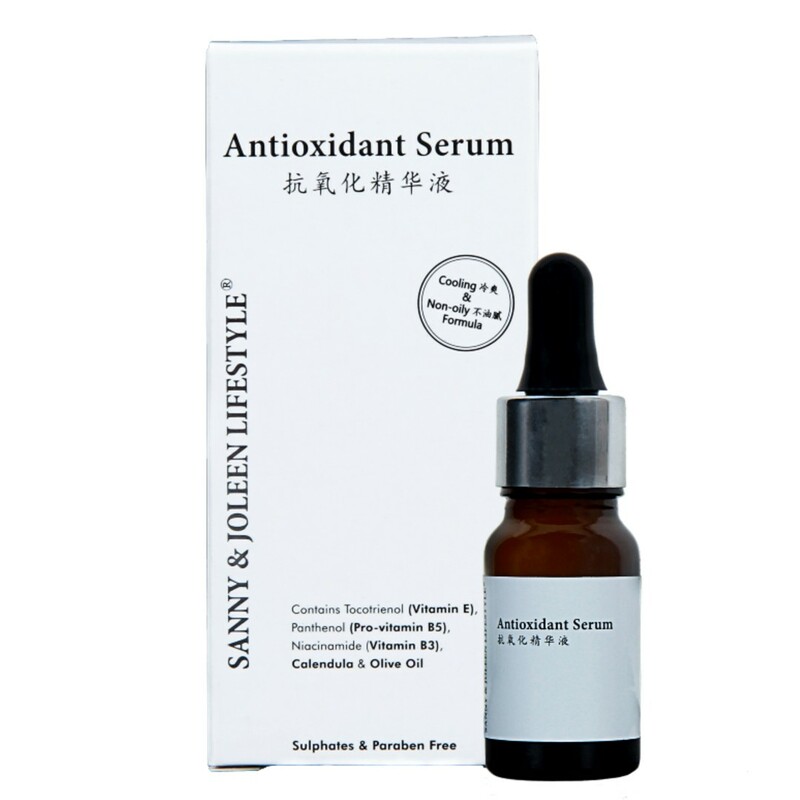 About Antioxidant Serum by Sanny & Joleen LifestyleSanny & Joleen Lifestyle Skin care look into natural and gentle ingredients, without harsh chemicals like Sodium Laureth Sulphate (SLS), paraben, animal derivatives, artificial coloring and son on. We carefully selected the skin loving ingredient as antioxidants to nourish and keep the skin healthy. The ingredients < Aqua, Niacinamide, Glycerin, Aminomethyl Propanediol, Citrus Reticulata (Tangerine) Peel Extract, Yeast beta glucan, Sodium Acrylates Copolymer, Sorbitan Caprylate, Panthenol, 3-0 Ethyl Ascorbic Acid, Olea Europaea (Oilve) Fruit Oil, Lecithin, Tocotrienols, Propanediol, Benzoic Acid, Tetrasodium Glutamate Diacetate. Tocotrienol and tocopherols are members of the Vitamin E family. However, Tocotrienol are proven to be 40-60 times more potent as an antioxidant as compared to ordinary Vitamain E (alpha-tocopherol). 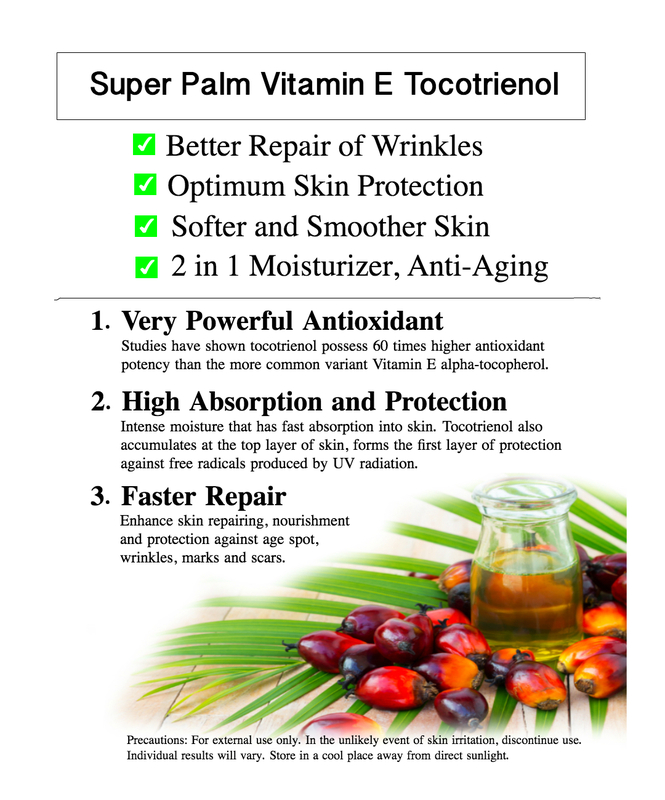 Tocotrienol is a powerful antioxidant that protects against ultraviolet light, radiation and ozone. It helps to prevent skin aging & improves skin elasticity by stimulating collagen synthesis by reducing MMPs activity, potentially effective in skin regeneration & smoothing effect. Tocotrienol promote skin whitening by reducing tyrosinase activity and decrease melanin content. It is so effective in reducing acne, inflammation and skin redness. Other than that, this serum contains other skin food such as pantheons (pro vitamin B5, niacinamide (vitamin B3), calendula and olive oil as well benzoyl acid. Do you that these help the skin stay mosturized and preventing breakout. I apply twice (2x) daily after face wash everyday once in the morning and another at night before going to sleep. 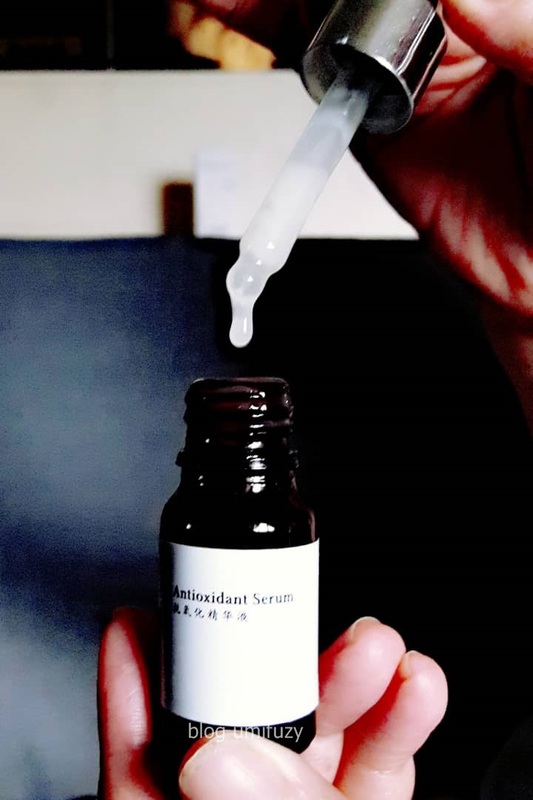 The best is that this serum can be use on our body to lighten pigmentation, to fade acne scars, reduce the effect of sunburn and to fade stretch marks. Isn't that awesome! Long term usage of Antioxidant Serum promotes healthy skin which definately what I want. 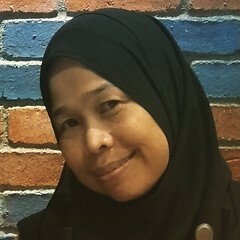 After 2 weeks using the serum, I can feel that my skin more radiant. the pigmentation on my face are almost fading . 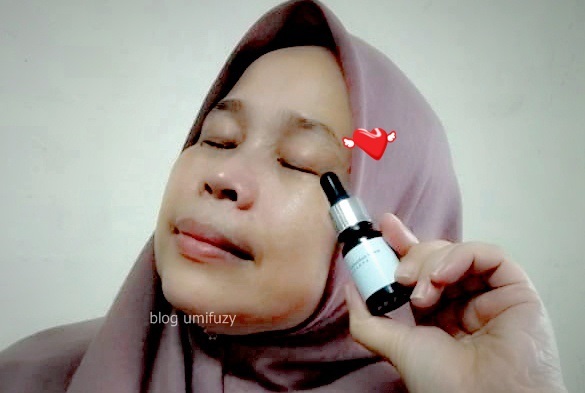 The serum does not dehydrate my skin, It absorbs easily into my skin, very lightweight, no scent and once apply on the face its cooling and my hands don't even feel sticky or oily at all. It is really gentle and making my skin healthier than before. Even my siblings commented that my skin looks much brighter too. And why I am so fond of this product is because this product is made in Malaysia. Established in 2014 and is expanding its market to Thailand, Indonesia and Singapore.